On a busy highway that runs between Montgomery and Prattville, is a place where the parking lot is always active and often full. Described as family run since 1958. Jim’s Restaurant made the “100 dish list” for their home-style cooking and a taste of The South. Stepping into Jim’s today, I was pleasantly surprised to find a clean, bright and cheery surroundings. I had to ask about the cool art work on many of the walls. I was told that the owner was self-taught and painted all of the pieces. Great talent-thanks for sharing with your customers! it appears to be very popular with the over 65 set, a great sign, I like wisdom. From first glance, there are no “Southern” dishes on the main menu. 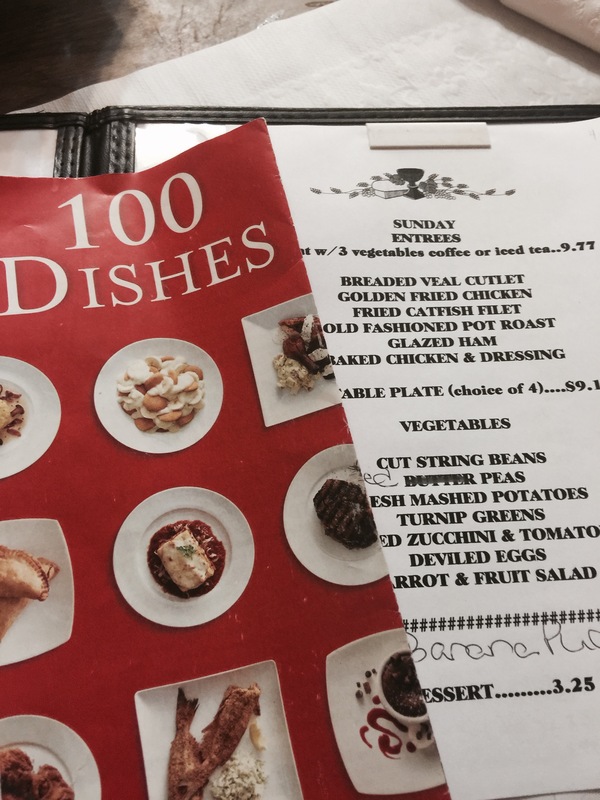 I found several choices of home-style dishes on the daily specials menu. I chose the fried chicken from the daily specials “meat and 3.” Along with mashed potatoes, I picked the only two “Southern” food items of black eyed peas and collard greens. It came with a roll and a cornbread muffin. I enjoyed my food. My friend ordered breakfast, and this wonderful basket came with the meals. 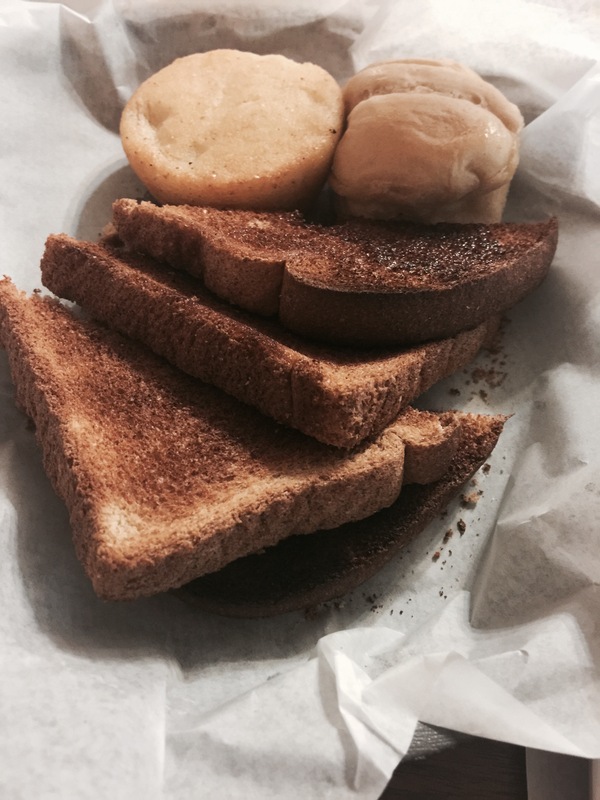 A cornbread muffin, biscuit and toast for the breakfast. 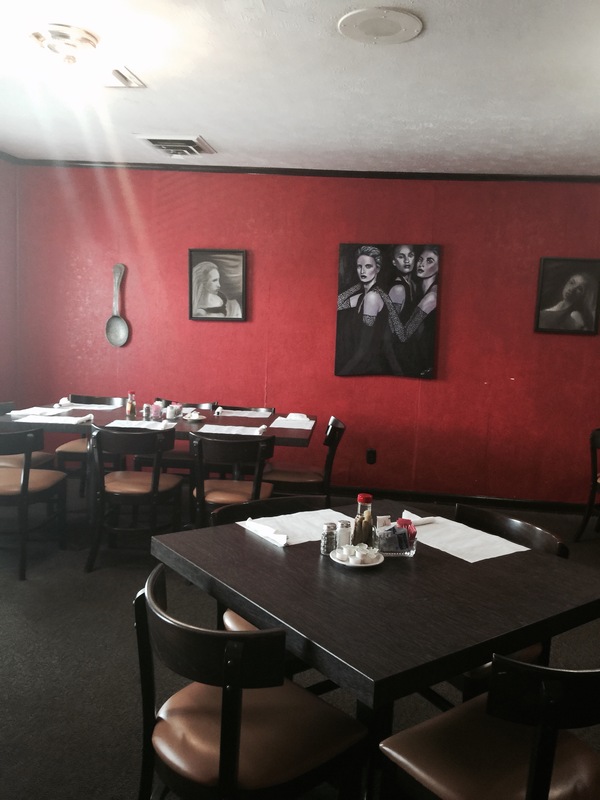 *Friendly staff, in a nice clean and truly inviting atmosphere. The remodel was a great move! I will be visiting again. 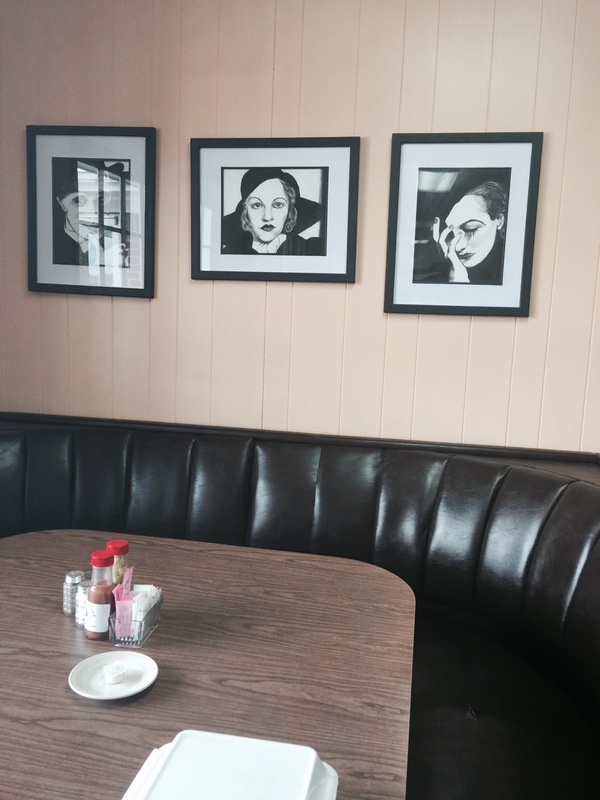 I have had breakfast on another visit and loved those home cooked eggs and grits or home-made hash browns. *One MEGastar for good food at a good value. My chicken plus 3 sides and a drink was $9.77. * one MEGastar for meeting the Alabama criteria of food from restaurateurs who are dedicated to local food with some Alabama style. 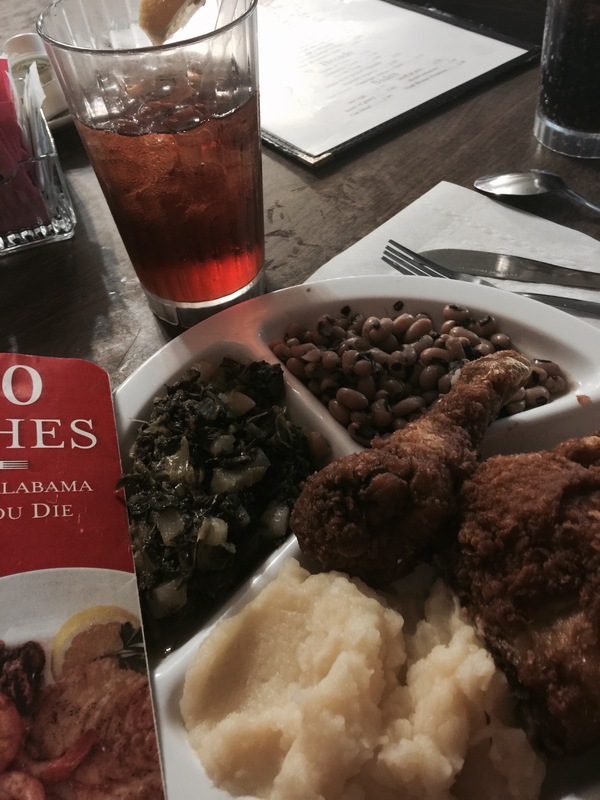 For the 100 Dish experience, look to the specials menu for the Southern food items. Grits are served at breakfast. Enjoy the wonderful art work. Jim’s has a nice website with a list of special menu’s. In Prattville, I love to eat BBQ at Fat Boy’s and Jim and Nick’s. 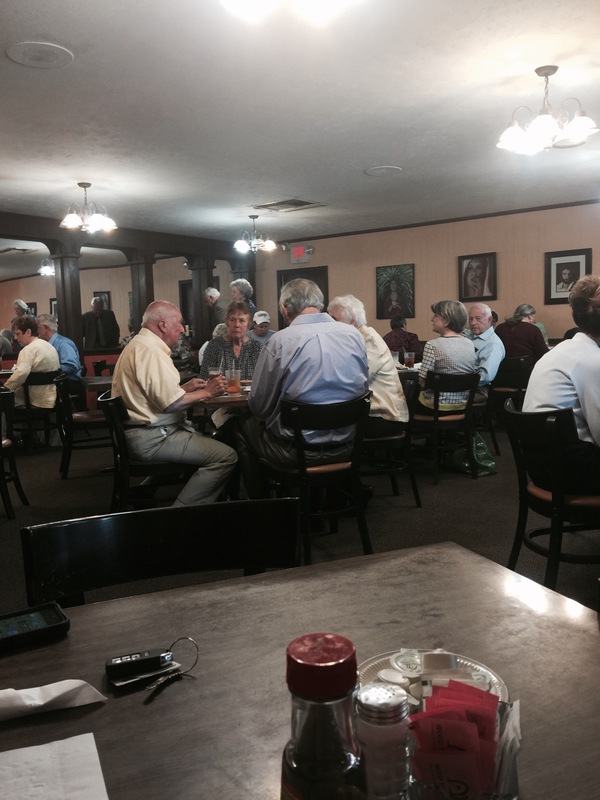 Another restaurant that is worth a visit is called Mick’s Cajun Café in quaint downtown Prattville.